The Romance Cover: Lost Series by BJ Harvey ~ Book 2 Name and Cover Reveal! 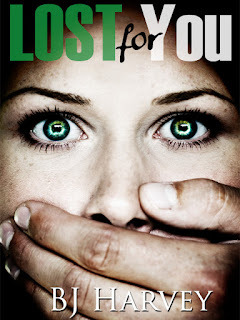 Lost Series by BJ Harvey ~ Book 2 Name and Cover Reveal! Here it is! 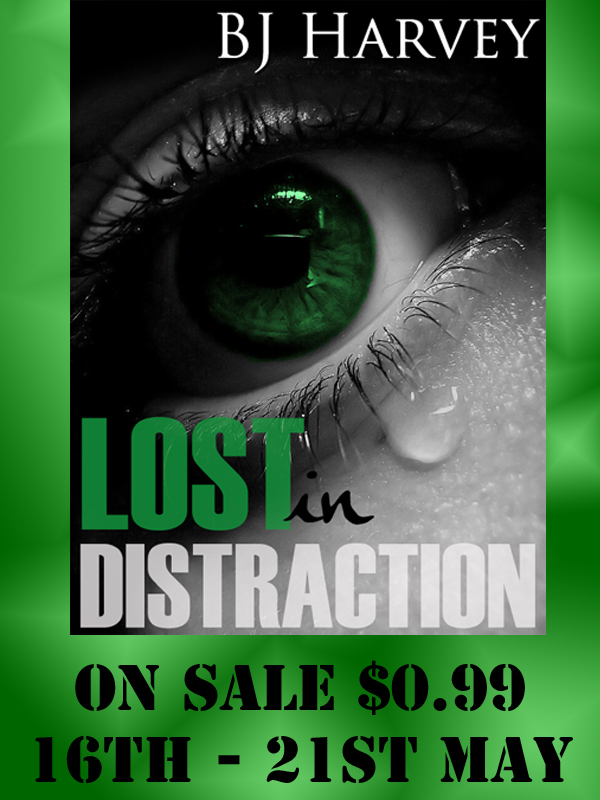 The Cover and Name of book 2 in the Lost Series by BJ Harvey and to celebrate book 1 - Lost in Distraction will be on sale - see below for details! Lost for You is out 23rd June! Her whole body starts to shake, so I pull her close to me again. Her shoulders are slumped over and she grabs my shirt, gripping so tight that her knuckles are almost white with strain. Once the shaking subsides I shift back, placing my fingers under her chin so that her eyes meet mine. Her eyes are red and puffy, like she’s been crying for days. I’ve never seen her like this. So low, so broken, so shut down. Unable to form words, Elle slowly nods, never once dropping her gaze. I strip her wet tank top off her, wrapping her towel around her chest as I pull her off the counter, carefully placing her feet on the kitchen floor. I yank her shorts down her still wet legs until she’s standing naked and exposed in front of me. There is nothing sexual about this moment. I take her hand and lead her into our bedroom, walking over to her drawers and pulling out a new top and pajama pants for her. I kneel down in front of her, lifting her feet one at a time as I put her legs into the pants and pull them back up to her waist. Not once has she lifted her head. She appears mesmerized by my every move. Leading her over to the bed, I sit down on the edge and pull her into my lap as I hold the tank top in front of her. She puts her arms inside the top and I pull it the rest of the way down her body. I grab the towel and start drying her hair. I’m taking my time, wanting her to feel cherished and adored, hoping she’ll see the sincerity in my actions and not just my words, I wrap my arms around her and carry her into our bed. “I’ll just be a minute, sweetheart,” I murmur, placing a tender kiss her forehead. I make my way into the bathroom, stripping off my wet clothes and wrapping a towel around my waist. Walking back into the bedroom, I grab a pair of boxers from the closet and put them on before crawling into bed beside her. I move my arm around her shoulders and pull her tight into my side. She still hasn’t said a single word since I arrived. I start tracing shapes on her arm as I hold my lips to her forehead. She lays her head on my shoulder, moving one of her legs across mine as her heat cloaks me. Where I hope Elle wants me to stay. 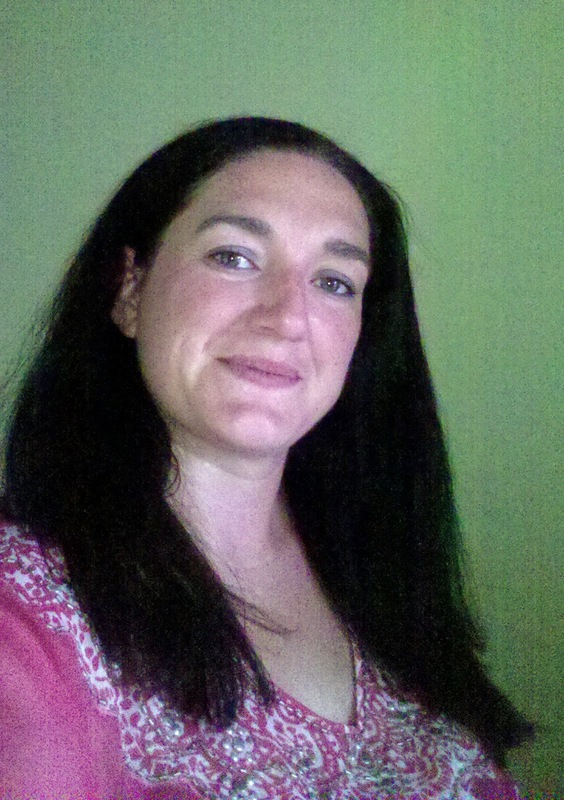 Having always loved reading, and having been befriended and inspired by some awesome self published authors and book lovers alike, I decided to start writing my first novel, Lost in Distraction in December 2012. It was a conscious decision that started with a song, then the prologue and then catapulted from there. I love music too, like REALLY love music, if there isn't music playing, something is wrong. Out and Proud Vampire Diaries fan as well. I'm also a wife, mother, full-time university student and I do contract work for myself from home.